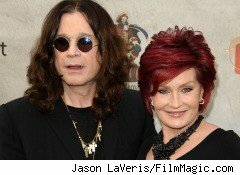 Ozzy and Sharon Osbourne may be making plans to attend the Royal Wedding in the UK, but the couple is currently making news here in the United States. Several media outlets, led by TMZ, have reported that the IRS has filed a $1.7 million lien for unpaid taxes against the rock star couple. You can't rely on anyone but yourself. You have to be on top of your own business affairs. My fault........lesson learned. Just because you're paying someone doesn't mean they're doing the job correctly. While it's easy to jump to conclusions and slap labels on taxpayers in trouble, poor financial advice is more common than you would imagine. In fact, it's a frustration shared by many taxpayers, including actor Nicolas Cage. Cage, who at one point was said to owe the IRS nearly $20 million in unpaid taxes, blamed his business manager for making poor decisions that ultimately lead to his financial issues. Cage has since switched business managers and is taking steps to repay the IRS. You don't have to be a rock star or actor to fall prey to bad advice. Stories like these underscore the importance of hiring a good tax professional.